No computer-assisted pre-operative design for calcaneal fracture malunions has been presented. 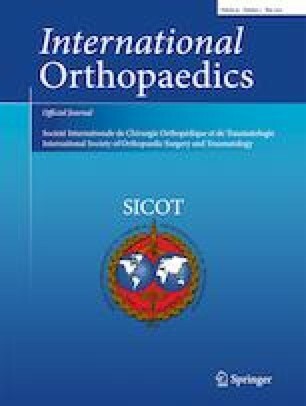 The aim of the study is to evaluate the intra-operative realization of computer-assisted pre-operative planning (CAPP) and the clinical outcomes based on computer-assisted virtual surgical technology for calcaneal malunions. Between 2010 and 2016, 20 patients with 21 calcaneal fracture malunions were retrospectively reviewed with the average follow-up time of 22.3 months (range, 12 to 43 months), which were operatively treated with the help of CAPP. The CAPP steps included the image segmentation, exostectomy of lateral wall, simulated reconstruction of calcaneal thalamus, morphological evaluation, and the implantation of internal fixation devices. Post-operative outcomes were assessed with the American Orthopaedic Foot and Ankle Society (AOFAS) score, SF-36 physical component summary (PCS), VAS for pain, range of motion of ankle, and the morphological parameters of the calcaneus including the axial length of the calcaneus, the height of the posterior facet, the talocalcaneal angle, Böhler’s angle, and Gissane’s angle. The mean time required for CAPP was 41.8 minutes. All the surgical processes were carried out according to CAPP. Six patients (6 feet) were treated with the joint-preserving osteotomy. Fourteen patients (15 feet) underwent the subtalar distraction bone block arthrodesis, among which the medial displacement calcaneal osteotomy was additionally performed in six patients (6 feet). At the final follow-up, the average AOFAS, SF-36 PCS, and VAS scores were significantly improved to 77.4, 64.3, and 1.4, respectively (P < 0.001). The postoperative calcaneal morphological parameters and the range of motion of ankle were significantly restored (P < 0.05). CAPP can assist surgeons in understanding calcaneal malunions, thereby improving intraoperative correction and reconstruction. The satisfying clinical and radiographic outcomes could be provided after treating calcaneal malunions aided by the computer-assisted virtual surgical technology. This study was funded by the National Natural Science Foundation of China (Grant number 81672141). The retrospective study was approved by the Institutional Review Committee of Shanghai East Hospital, Tongji University School of Medicine, Shanghai, China. And written informed consents were obtained.